I really should be thinking about other things right now, but I’ve been getting distracted by this Ipswich House project, and reading up on some background. 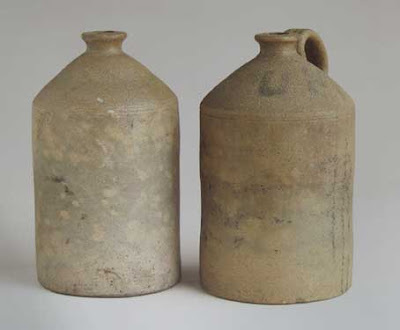 The city of Ipswich has a very rich ceramic history and even though its only a small city it supported a lot of potteries that made bricks, pipes and lots of domestic wares in the late 19th and early 20th centuries. 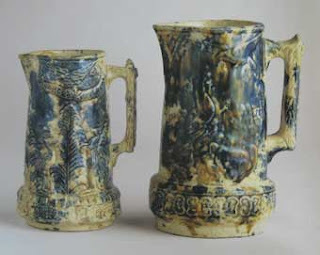 None of the potteries remain today but there’s some great examples of their work in the collection of the city gallery. This selection of old local bricks (above) from the regions potteries really took my fancy. Love a good brick I do! My nana used to heat bricks up in her wood stove and wrap them up in a towel and put them in the end of our beds in the chilly Toowoomba winters when I was a kid! This picture (above) took my fancy too. 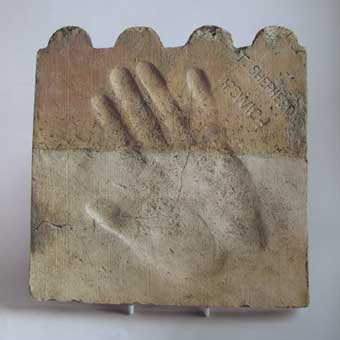 It’s a garden edge tile made by Thomas Shepherd in the late 1800s and impressed with his hand print. The catalogue describes them as being "occassionally eccentric" in their decorative embellishments! Mostly though they were very simple utilitarian pots that were used for very everyday things. Great images, Mel. That hand-print by Thomas Shepherd is quite striking.